CEO’s, finance directors, marketing managers, scientists, economists and other professionals turn to Media Wise for individual and group assistance with their presentations. Some are looking for fine-tuning and a confidence boost ahead of an important pitch. Others want to improve their skills generally in order to communicate more effectively with internal and external audiences. 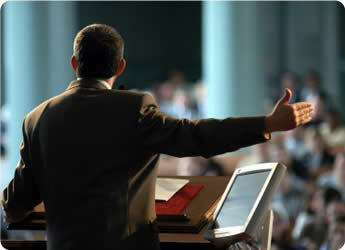 Others want to learn how to create an effective presentation rapidly from scratch. We cover all these areas in programmes tailored to clients’ specific requirements. During our presentation rehearsal sessions we address content and all aspects of non-verbal communications. We record participants’ performances on video and analyse them afterwards, indicating to participants areas for improvement and helping them to make adjustments.